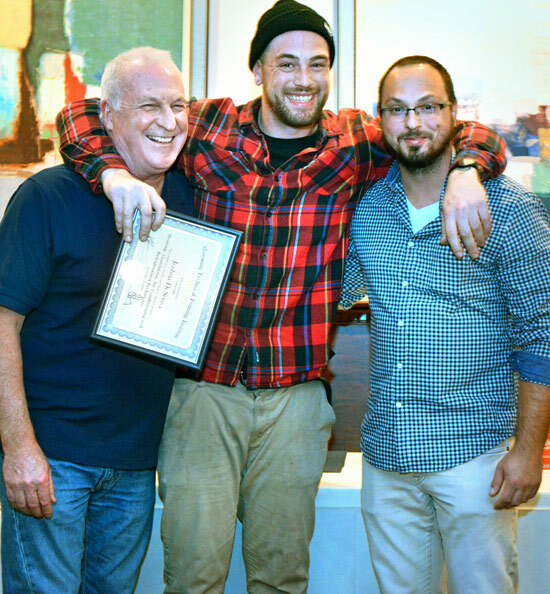 Apprentice Electrician, Joshua deSousa, 2018 MTTI Residential and Commercial Electrician Graduate Success Story. I first thought about an electrical career during high school. While participating in an ‘exploratory’, we made lists of the shops we were most interested in. I liked both electrical and steam engineering. For five years after high school, I worked in steam engineering. Then I made a change when a commercial fishing opportunity became available. My father was a fisherman. I got a spot on a boat and fell in love with the life of working on the water. As a fisherman, I didn’t have a health or retirement plan. Commercial fishing for a living is physically hard on your body. Also, I had become a family man with kids. I needed to think about a long-term career in which I could support my family. I knew that a professional career as an Electrician pays well and has a good future. I’m not a sit-at-a-desk kind of guy; I’m content when doing any kind of hands-on work. I searched online for fast-track career training—MTTI came up. When I visited the school, they were building the new shop for the electrical program. Jason, the lead instructor, knew what he was talking about. When we met, he didn’t sugar-coat anything. He was honest in telling me I wouldn’t make lots of money right out of school. The pay would increase as I gained experience on the job, and after I passed the Journeyman licensing exam. School was the pathway to doing the work that I enjoy. I could have been out making money; instead I chose to enroll in the Electrician program. The hands-on training at MTTI gave us real experience for the workplace. Installing an actual surveillance system in the school gave me a sense of accomplishment. I like jobs that count—not just putting something up once, testing it and taking it down. We had to make the surveillance system work. Now it will be a permanent installation at the school, until the system needs updating. 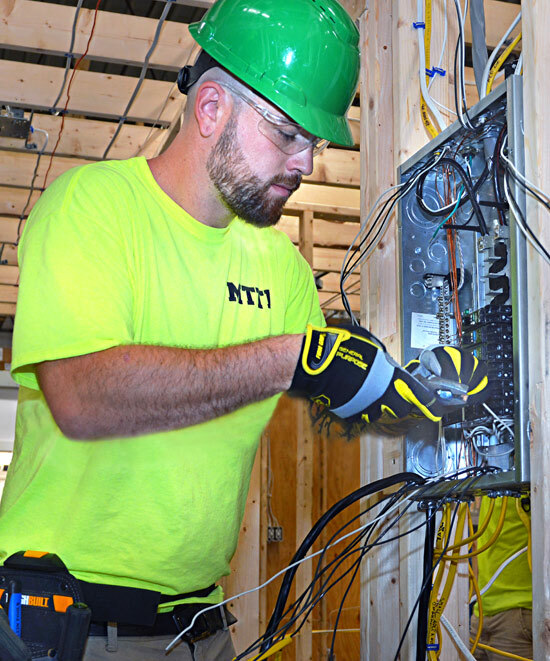 Before enrolling at MTTI, I applied for an electrical job—I didn’t get a call back. As I was completing the Electrician program, I could say ‘yes’ to items on employers’ checklists—like holding an OSHA 10 Card and having experience. Searching for an internship, I found a company that does it all. Wayne Electric & Alarms is an electrical contracting, and a full electronic security company that specializes in fire alarms, burglar alarms, security cameras, electric locks and card access systems. If it has wires—we do it! MTTI’s Electrician program gave me a good base to build on. I felt pretty confident that what I learned at school had given me the basics a company expects of an apprentice. Now, when the job involves something we didn’t cover extensively in the program—like fire alarms—I know enough to learn more from the guys I work with. I might start a job working on a surveillance system for a large commercial installation, and the next day be pulling original knob and tube wiring in an older home. I’ll likely come back to the larger commercial job, and see it completed. Looking back, it was definitely worth going to school. I enjoyed school and learned a lot in the Electrician program. Now it feels good to be out of school and getting a paycheck. I still keep in contact with my former Instructor, Jason, and some of my classmates. We had a good batch of guys in the class; some of us will remain friends. I love what I am doing; I’m excited to go to work each day. 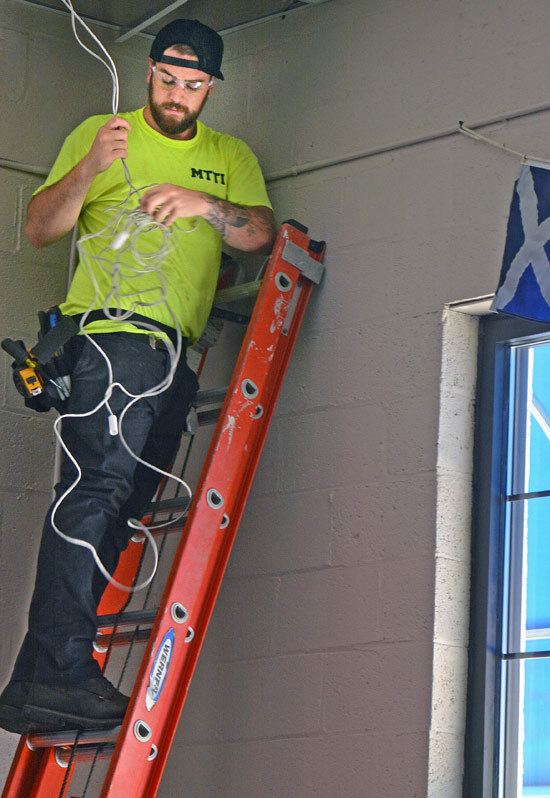 If you are considering becoming an electrician, the work is interesting and stimulating—never boring. It’s a good career--go for it!